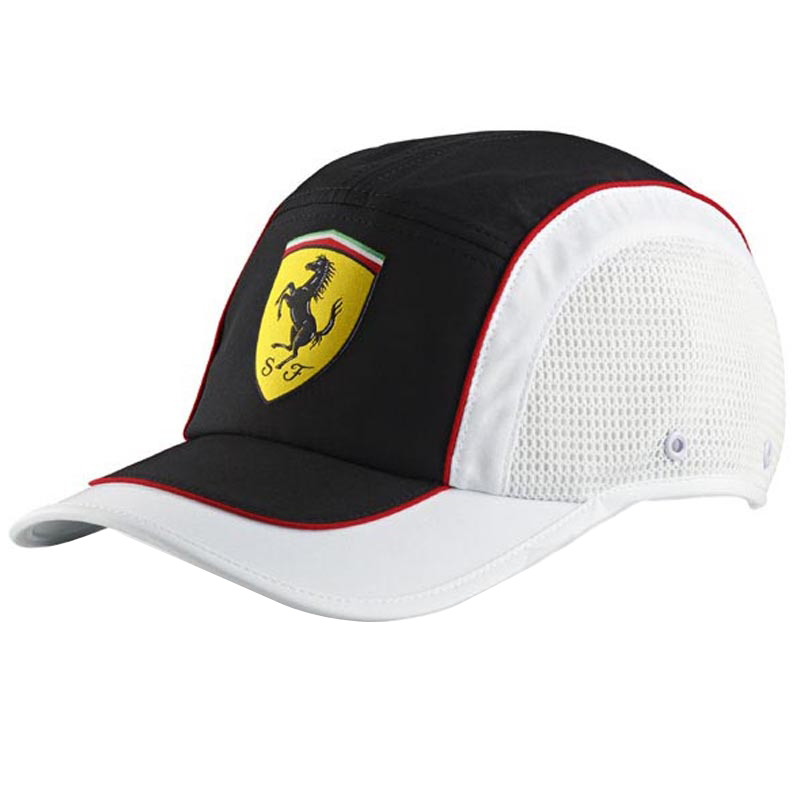 The Ferrari Ferrari Sport Mesh Hat was designed to blend style with maximum breathability for those hot summer days and Ferrari enthusiasts on the move. 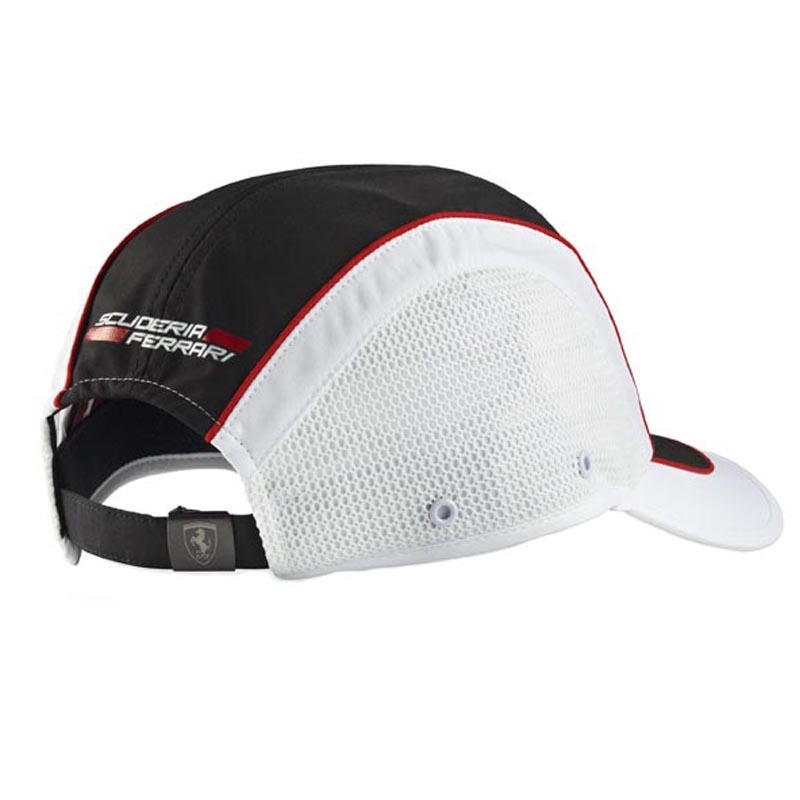 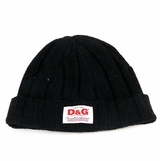 The Ferrari Ferrari Sport Mesh Hat features dual mesh sides with a contrast design with white sides and peak edging to achieve this unique blend of style and functionality. Also featuring the Iconic Ferrari shield logo proudly displayed on the front and Scuderia Ferrari logo printed on the back with an adjustable strap with metal Ferrari logo engraved clasp for the perfect fit.